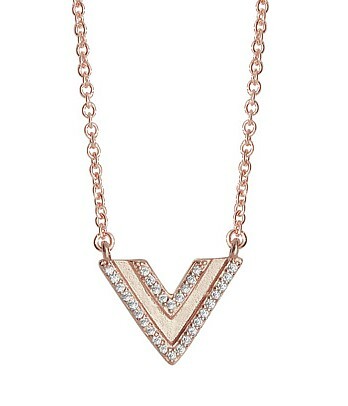 Trendy double “V” shape created in Sterling Silver lavishly covered in Rose Gold, with tiny sparkling cubic zirconia. Wear it on its own or double up with the Gold “V” for mega impact. Size: 2cm x 1.3cm.